In a key project for the UK market, ADB Lighting has supplied the English National Opera (ENO), based at the Coliseum in London, with a Eurodim TwinTech dimming system, fitted with dual-mode DimSwitch dimmer modules. The installation in April was carried out by ENO’s chosen installer, Push The Button (PTB) and distributor White Light. 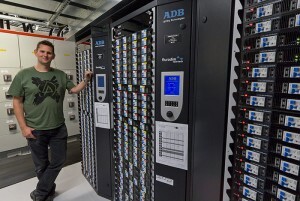 The innovative DimSwitch software-switchable dimming and switching system, housed in ADB’s dedicated Eurodim TwinTech cabinets, replaced ENO’s existing dimmer system. Already performing in many of Europe’s leading opera houses, theatres and TV studios, ENO joins the likes of the Onassis Cultural Center in Athens, the De Doelen auditorium in Rotterdam, Opéra Bastille in Paris, Opéra de Lausanne, New Music Centre Linz, National Theatre of Bahrain and many others. White Light had already supplied a quantity of ADB’s WARP/Motorized silent automated profiles for ENO’s house rig. Kevin Sleep, head of lighting at ENO, comments: "Having begun detailed research into what was available and trying to match our requirements to them, it was fortuitous that we had some technicians over at ADB for service training on the ADB WARP/M automated fixture. The ADB dimming systems were on our horizon and the technicians took the opportunity to have a good look at this new system and they were very impressed." He continues: "ADB’s Raph Janssens gave us a detailed presentation and I could see it was well thought-out and was clearly everything we’d been looking for. Another big extra was that, as we work as a repertory house, we were constantly having to swap dim for non dim modules, whereas Eurodim TwinTech with ADB’s DimSwitch modules would allow us to change modes just from a control panel or a laptop." Ric Mountjoy, ENO’s lead programmer and project manager of the dimmer replacement with Kevin Sleep, was equally convinced by the day in ADB’s demo room, saying, "We were very impressed with the ADB product and with the conversation that we could have with the company in terms of their future development and our needs. "We felt, when we identified possible future things that we'd like to see implemented, that they were very responsive and keen to work with us. This was very impressive and a company that we wanted to work with. There were various technical advantages of the product as well and in demonstration it’s very impressive," he says. "Since any individual way can be a dimmer or a non-dim, regardless of what rigs are brought in here in the future, we should be able to handle them. As part of this project we’ve also bought a large package of moving lights and the TwinTech dimmers mean we can locate them wherever the designers wish, because it makes no difference whether they need a non-dim or a dimmer in each location." The 10 cabinets house both 223x4x3kW and 71x3x5kW ‘DimSwitch’ modules for optimum flexibility. Kevin Sleep also cites the cabinet’s neat and easily accessible design as another plus. "It was great, as well, to have the experience and support of both Nick Ewins and the PTB team, and that of White Light, because ENO is very rarely dark. This meant that both the delivery and the installation had to be carried out both quickly and very accurately, with the added constraint of being able only to work in overnight shifts to accommodate opera rehearsals and ballet matinées. "The old system was last used on March 18 for ‘The Barber of Seville’, and we had to be ready for our new opera season fitting up on April 21 which opened with ‘La Bohème’ on April 29 – it was a narrow window in which to change over and we’re pleased that it fitted." Ewins comments: "We had a great starting point, having worked with ENO’s building maintenance manager, Dave Rose, to get this job off the ground. After looking at the other major dimmer options, ADB TwinTech looked like a perfect solution for a house like this." PTB also devised a unique combined ventilation and containment system to suit the TwinTech cabinet’s top-mounted fans. He adds: "The job has happened on time and on budget. Ric has been a joy to work with and he welcomed me and my colleague Andy Philips. He had some of the largest spreadsheets we’ve ever seen – cables and schedules – for me and my team of 10 to work from. Also, it’s a friendly building to work in, where everyone makes you feel very welcome." Bryan Raven of White Light comments: "Kevin and ENO have been very important customers, and we’ve always done our best to look after them. He asked us to help organise demonstrations of different types of dimming. He’d heard about the ADB TwinTech dimmers from incoming lighting designers as well as obviously having carried out his own research. 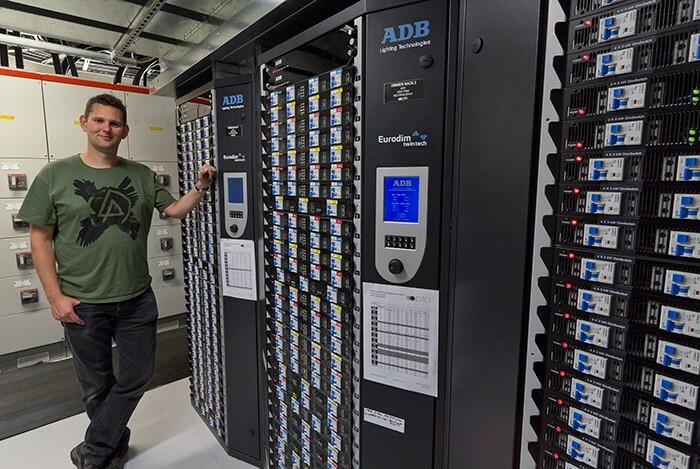 "And we’ve known Raph and ADB for a long while – we purchased a lot of ALC4-2 LED cyc lights for our rental stock which are pretty busy. Some of our technicians went over to Belgium and I can safely say they were blown away by the quality of the dimmers."